Our goal for the Ultra-II was to create a versatile guitar that was capable of not only real Les Paul tone, but also acoustic-like qualities without adding a lot of controls and changing the overall appearance of the Les Paul. Our challenge was to create something modern that still looked and sounded like a classic Les Paul. And just like our old friend Les Paul, Epiphone loves a challenge! The Ultra-II is all-Les Paul tone and styling and includes a pair of Alnico Classic humbucker pickups with a traditional LP design. Plus, the Ultra II is also strategically chambered which not only reduces weight, but also adds subtle acoustic overtones. Epiphone also teamed up with the premier German acoustic pickup maker Shadow to take the Ultra to the next level. All Epiphones are backed by our Limited Lifetime Warranty and Gibson's 24/7/365 Customer Support. Visit your Authorized Epiphone dealer today and discover the infinite possibilities of the Epiphone Ultra II! The NanoMag™ magnetic pickup has an air coil composed of Samarium Cobalt magnets incorporating active electronics. The NanoMag™ is protected by an epoxy layer and silver-platinum shielding. Together with the active electronics, they provide a low impedance, hum-free output signal. 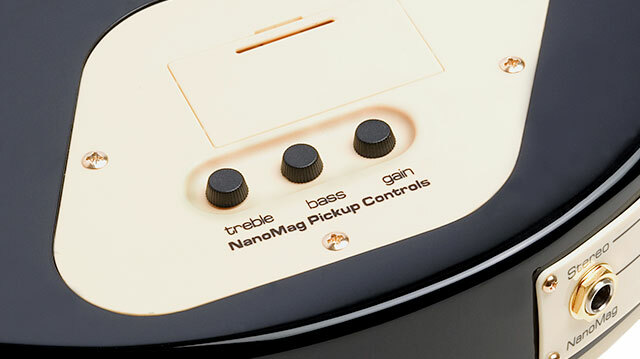 The NanoMag™ pickup provides a great acoustic sound, but can also produce sweet blues and jazz tones. It's also resistant to feedback and offers incredible dynamics in all positions. The Ultra-II also includes a proprietary NanoMag™ low-impedance pickup embedded into the fingerboard with custom electronics to create a Les Paul that is not only capable of blistering, electric guitar riffs but also shimmering acoustic-like tones. Just the kind of invention that Les Paul himself wanted! At the heart of the Ultra-II is the NanoMag™ pickup. The NanoMag™ is a completely new kind of magnetic pickup that combines 3 Samarium-Cobalt magnets with on-board, active electronics to produce a low-impedance pickup with absolute linear response and an uncharacteristically wide frequency range. Voiced specifically for the Ultra-II, the NanoMag™ is embedded in the fingerboard just after the 22nd fret. Positioned at this harmonic-rich sweet-spot, the NanoMag™ is able to capture all harmonics with incredible accuracy with ZERO noise or artificial coloration. Front mounted controls for the Ultra-II remain in the standard LP locations. However, functions can change at the Neck Volume (magnetic), Bridge Volume (magnetic), Master Tone and NanoMag™ volume. The NanoMag™ controls as well as the 9-volt battery compartment are discretely mounted on the back of the Ultra II on the control cavity plate. Here, you can set the NanoMag's™ Treble, Bass and Gain settings. Once you find the settings you want, you generally won't make many change to them. However, the control is there if you need it. The Ultra-II also adds true stereo outputs that allow you to combine the Alnico Classic humbuckers with the NanoMag™ output or separate the two for a different mix. 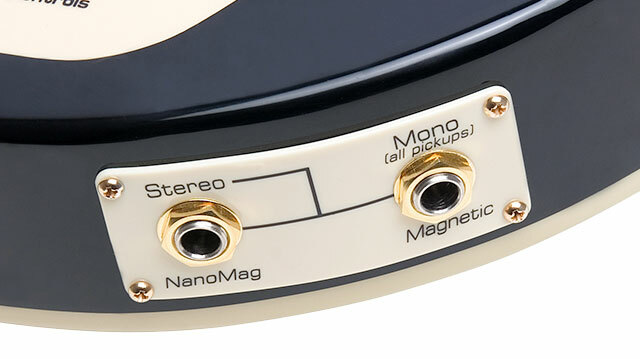 Both options allow the use of standard 1/4" instrument cables so players can route the magnetic pickups to a standard electric guitar amplifier and the NanoMag™. to an acoustic guitar amp or PA. In combination with the front mounted volume controls, you have unlimited blending and mixing possibilities! 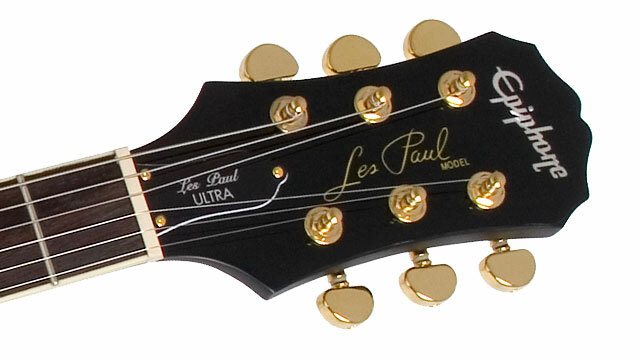 The Ultra II's groundbreaking technology is anchored by classic Les Paul features. The mahogany body features a quilted maple top and a 24.75” scale mahogany neck with a SlimTaper™ profile. The rosewood fingerboard has a 12” radius, a 1.68” nut, and 22 medium jumbo frets. The Ultra II comes in Midnight ebony and Faded Cherry Burst and gold hardware. 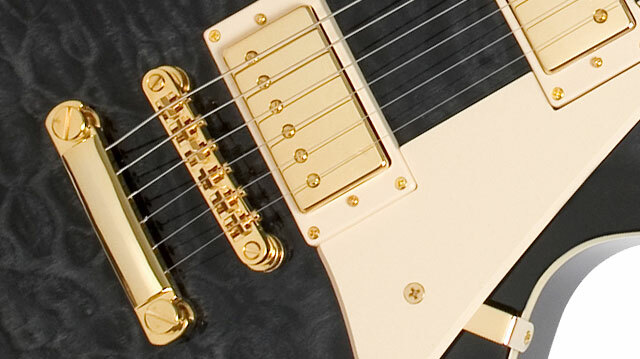 And like all Epiphone Les Pauls, the Ultra II features our LockTone™/StopBar bridge.